The priests at Sri Ganesha Temple are well experienced in performing Archanas, Poojas, Homas, Alankaras, Abhishekams, Kumbhabhishekams, Brahmotsavams, and Weddings. They all speak Tamil, Telugu,Hindi, Kannada and English. 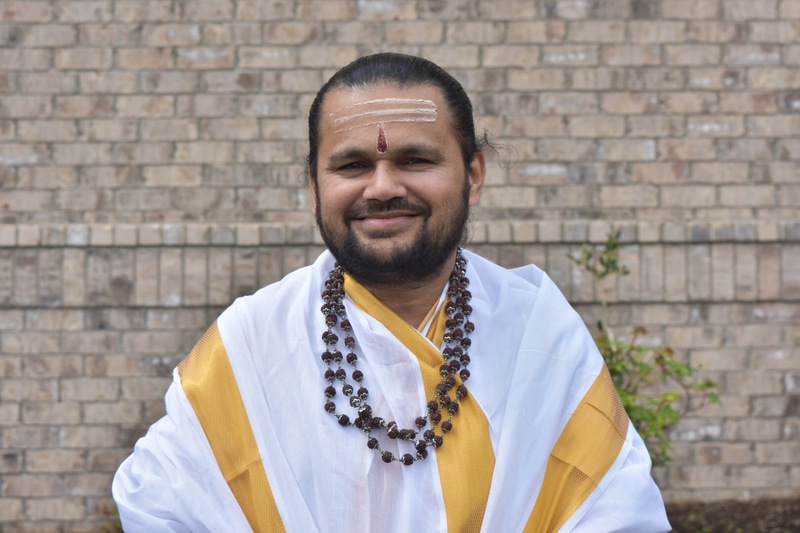 Their commitment to the authentic religious practices and the Hindu tradition of worship, has earned them the respect, admiration, and the devotion of the Hindu community in Nashville and surrounding areas. 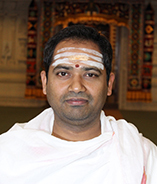 Sri Koteshwaran K. Gurukkal hails from a family of highly venerated priestswith rich heritage. Born at Ettukudi in Thanjvur District, Tamil Nadu, he studied at the Saiva Agama School at Thirupugalur and was awarded the “SaivagamaBhushanam” certificate. He was also awarded “SaivagamaVidwan” , “PoorvaBhagam and Uttara Bhagam” certificates by the ThirumalaThirupathiDevasthanam (TTD). From 1980-1986, he worked as a priest at Sri SubramanyaSwamyDevalayam in Skandagiri in Secunderabad, Andhra Pradesh. 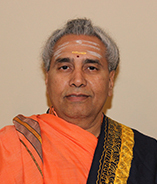 Priest Gurukkal joined Sri Ganesha Temple in 1988. In 1993, he got married to Indrani. He has two children Skanda Janani and MayurKarthik.He speaks Telugu, Kannada, Tamil, Hindi and English. 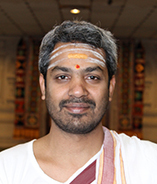 Sri Veldurghy Kalyankumar joined our temple in May 2010. He is from Andhra Pradesh state in India. He is a certified Shaivagama from Government of Andhra Pradesh. He is educated in YajurVedam from Sri ShringeriShankara Mutt, Bangalore and SmarthaPrayogam from Sri Bharthi Veda SmarthaPatashala, Hyderabad. He worked as a priest at a temple in Bangalore and performed many religious ceremonies. He speaks Telugu, Kannada, Tamil, Hindi and English. He is married to Srimathi Sheetala. He has a son Agasthya Karthikeya. Sri Tarakabrahma Sarma Gudipati (Brahma) joined our temple in 2013. He is from Hyderabad, Andhra Pradesh. He is a qualified priest, specialized in Krishna Yajur Veda Kramantha and Smartha Agama. He has his Prathamadeeksha education from Rashtriya Sanskrit Samsthan (Deemed University), Delhi in 2005 and the Saahitya and Nyaaya (Tarka) Shaastra education from Srimajjagadguru ShankaracharyaSamskrithaPathashala, Dharwad. He got a gold medal on Sahitya and Nyaaya Shastra from Dharwad in 2007. He got his Sahitya certification from the Government of Karnataka. Before coming to Nashville, he was a priest in Dharwad temple in Karnataka. He speaks Telugu, Kannada, Tamil, Hindi, English and Sanskrit. He is married to Srimathi Swapna. He has two daughters Manogna and Abhigna. 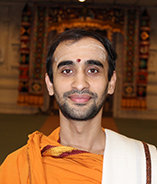 Sri Narayana Bhat joined our temple in 2014. He is from Bangalore, Karnataka. He is a qualified priest, specialized in Krishna Yajur Veda Kramantha. He did his education from Sri ShankaracharyaMahasamasthana, Dakshinamnaya Sri SharadhaPeetha, Bangalore (1997 – 2004) and Shiva Agama Pravara Education from Government Maharaja’s Sanskrit College, Mysore. He has experience in working as a priest and performed many religious ceremonies. He speaks Kannada, Tamil, Telugu, Hindi and English. He is married to TejaswiniHegde and has a daughter Varuni. Sri Sooryanarayan Bhat joined our temple in April 2017. He is from Bengaluru, Karnataka. He studied Rigvedam Samhita at Kanchi Kamakoti Peetam,Shankaracharya Veda Pathasala, Kanchipuram in TamilNadu. He passed Shaivagama Pravara, Shaivagama Praveena exams at Karnataka State Government Maharaja Sanskrit College, Mysore. He speaks Kannada, Hindi, English, Tamil, Malayalam, Konkini, Tulu, Marathi and Sanskrit. He is married to Padmasri and has a daughter Dravina.